AUTISM ACADEMY – Hiring positive teachers and showing them appreciation is what defines the culture of most schools. Jenny Sevier has been the academic middle school teacher at the Autism Academy in Tempe for three years. “I piloted the program,” she said. She helped rollout classroom rotations, small group instruction, student council, and volunteers as the graduation ceremony coordinator. Sevier says she’s spent a lifetime around people with special needs, from individuals with learning disabilities to those that are blind, and people with arthritis. “As a result, I’ve always wanted to work with people who have unique needs,” she said. She’s been under the surgical knife twice fighting her own diagnosis of arthritis since age 14. Sevier is not foreign to physical therapy, crutches, a cane, and pain in her right knee. Her passion is pure because she can physically relate to the challenges faced by children with autism. That didn’t stop her from playing the flute in her high school marching band and achieving a 3.9 grade point average. After earning a bachelor’s degree in psychology from the University of California Santa Cruz, she received a teaching certificate from California State Fullerton. Sevier believes that with the right resources students can overcome obstacles. She taught for seven years prior to joining the team of professionals at the Autism Academy. Initially, Sevier worked as a kindergarten special education teacher in a Gilbert Public School. The money was there, but resources are prioritized differently in public schools. Laura Newcomb is the owner of the Autism Academy, and Sevier says she knows how to allocate the funds to best serve students with special needs. “There are just so many hoops for public schools to jump through to service students with autism,” she explained. Having to lobby for supplies, resources, and support everyday created unhealthy stress for Sevier. The Autism Academy has a positive and professional approach to addressing problems, and parents are proud of student progress. In addition to the ongoing administrative support that encourages teachers to feel appreciated day-by-day, principal Robert Rossi recently provided an added incentive. 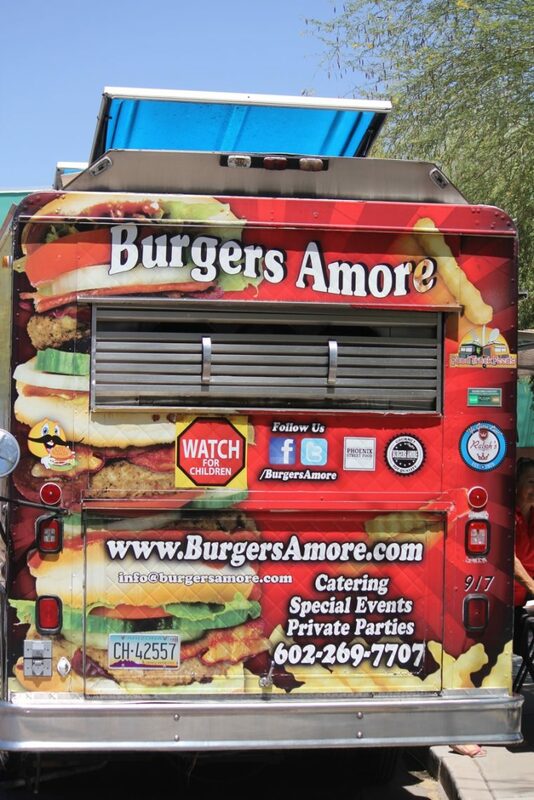 During teacher appreciation week, he teamed up with the Parent Partnership Program and provided teachers with free catered lunches through Burgers Amore food truck. The Autism Academy has mastered the recipe of hiring passionate professionals and giving them the kind of support that fosters a sense of genuine appreciation year-round. Sending your child with autism to a loving school where they can learn effectively is a top priority for many parents. Enroll your child with autism in our school, so your child receives a great education.